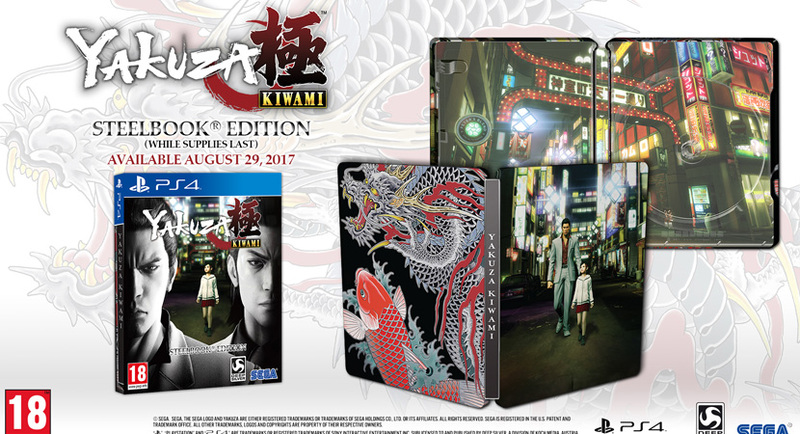 Yakuza Kiwami was released in Japan a few years ago. It's a remake of the original game using a new engine. At E3 when they announced Yakuza 0 was coming to the west, they also said Kiwami was coming as well at a later date. SEGA finally announced the release date of August 29th this year. To top it all off, they're putting out a Steelbook edition at the same cost of $29.99. SEGA has been on a roll recently with Bayonetta finally releasing on PC and now this. I'm really loving this much improved SEGA. This remake has fully recreated graphics, 30 minutes of new cutscenes, and fully re-recorded voice acting from the Japanese actors. A new feature being added to the game is Majima Everywhere which acts as a goofy challenge mode similar to Mr. Shakedown in Yakuza 0.